Today, YIMBY has the reveal for the updated design of 848 Lorimer Street, a six-story residential building in Greenpoint, Brooklyn. We last reported on the site in September, when the exterior featured arched masonry, and a modernist black metal façade with large windows. The new design raises the masonry up to the fourth floor, above which are two stories of curtain-wall glass windows. The appearance takes influence from neighboring warehouse buildings, incorporating enormous windows in the sturdy structure. The 68-foot tall structure will yield 36,270 square feet of residential space. The 52 apartments will average just 698 square feet apiece, indicating rentals. 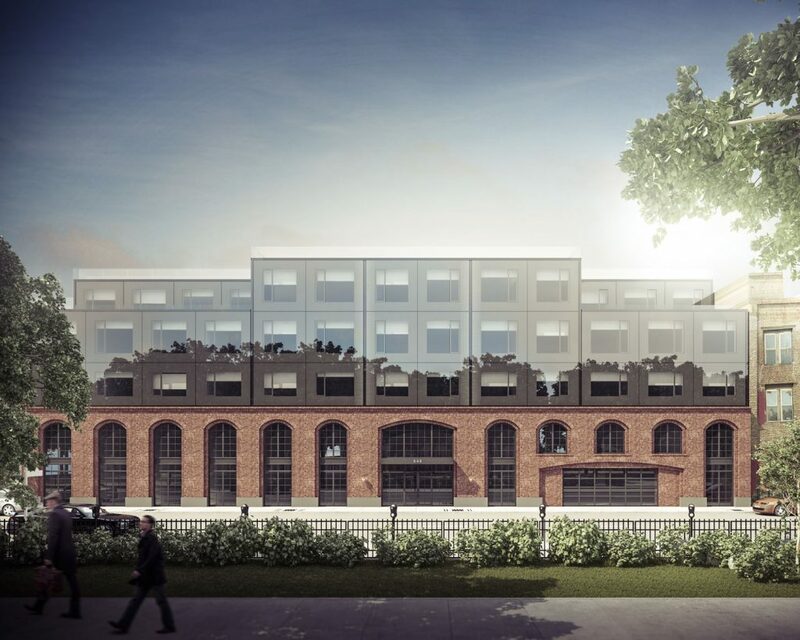 Tenants will have access to storage capacity for 26 bicycles, a gymnasium, parking for 23 vehicles, a recreation room, and outdoor terraces on the second floor and rooftop. While Issac & Stern Architects is the architect of record, Meshberg Group will be responsible for the design. Dean Marchi of Grand Street Development will be responsible for the project. They purchased the site in 2015 for $593,000. Demolition permits have been filed, and completion is expected by 2019. 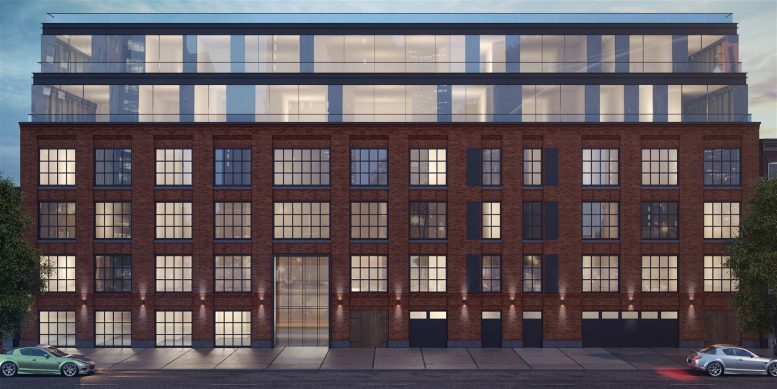 2 Comments on "Updated Design Revealed for 848 Lorimer Street, Greenpoint, Brooklyn"
Please pardon me for using your space: Thanks for straight forward details and renderings. The prior designs had a touch of grace and elegance. The latest design is that of a crass & dull factory-like facade.